SDG Reads is the largest book club in the United Counties of Stormont, Dundas, and Glengarry. It is celebrated annually from May until October. 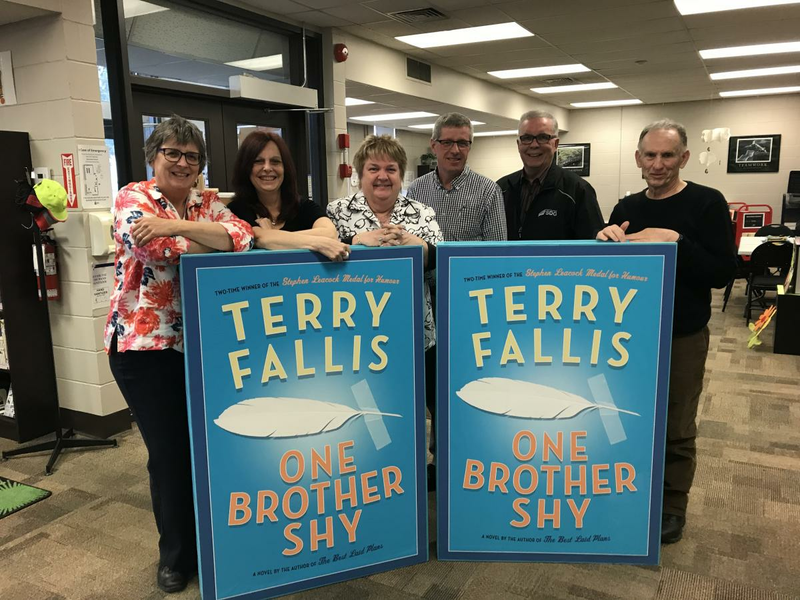 We're very excited to announce our 2018 title, One Brother Shy by Terry Fallis. Borrow a copy today and join our community-wide book club. Terry Fallis is the co-founder of Thornley Fallis, a communications consulting agency with offices in Ottawa and Toronto. He is also the author of six national bestsellers, including One Brother Shy, Poles Apart and No Relation. His debut novel, The Best Laid Plans, won the 2008 Stephen Leacock Medal for Humour. It was also dubbed the 2011 winner of CBC Canada Reads as the “essential Canadian novel of the decade”. In 2014, The Best Laid Plans was the inspiration behind a six-part television miniseries on CBC and in 2015, it was turned into a popular stage musical in Vancouver. Terry has also created and co-hosted the well-liked podcast, Inside PR. Acclaimed as one of Canada’s top humourists, Terry lives with his wife and two sons in Toronto. A big thank you to our program sponsors! We appreciate your support. · Humble Beginnings Brewing Co.
· Entretien Steve Clark Inc.